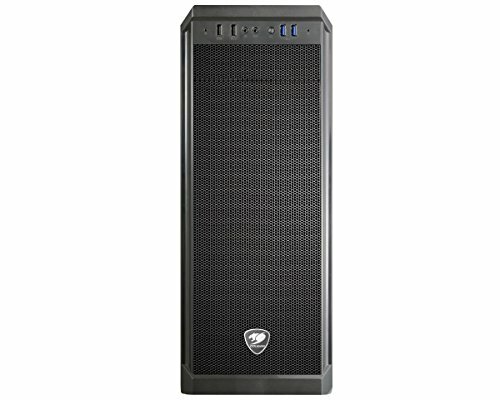 The case was only $48, and it has a full tempered glass side panel, PSU shroud, magnetic dust filters, open interior, and looks great. The metal is thick and I found no sharp edges while working. For this budget price you're sacrificing some of the finer things (no rubber grommets, only one installed fan, no included RGB, etc) but I was okay with that. The case was a little hard to build in. My main complaint is that even though there's a spot for an optical drive, I found it was too tight a squeeze for my liking, and therefore did not include the optical drive in my case. (The back of the drive was butting right up against pins on the motherboard). There could be more room for cable management on the opposite side, but if you squeeze everything in and tie everything down, you'll get it done. Be sure to plug in all the proper cords you'll need onto your PSU (if it's modular) BEFORE placing the PSU in the shroud, because there's no way you'll get those cords plugged into the power supply once it's put in place. This will make any future upgrades requiring a new cord problematic, but I'll deal with it if the day ever comes. My chosen PSU came with velcro straps, which helped a lot with cable management, as this case only provides a few small zip ties. 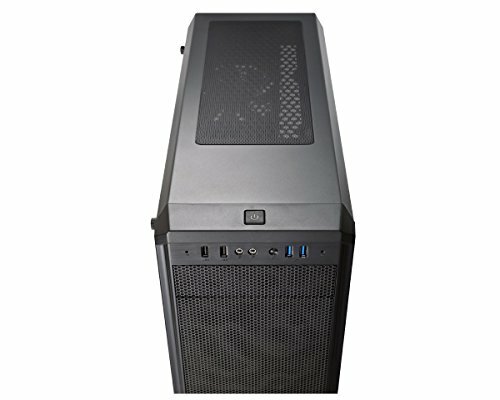 Overall, I'd recommend this case on the price and look alone. It's higher quality than you might expect, but noticeably not a $100 case, if only for the lack of frills. The final build looks beautiful, and temps are staying nice and low with ample air flow. Unbelievable for $60 (AUD). 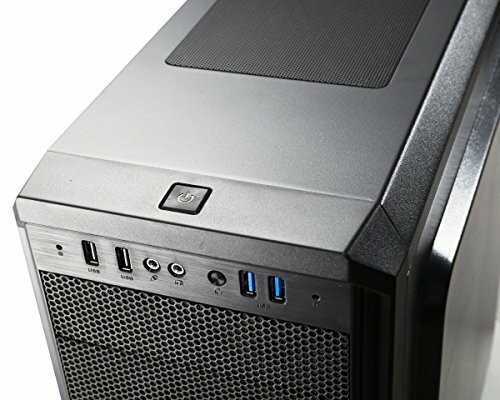 No sharp edges, plenty of cable room, looks amazing and has a full tempered glass side panel. I would give it 7 stars if I could! 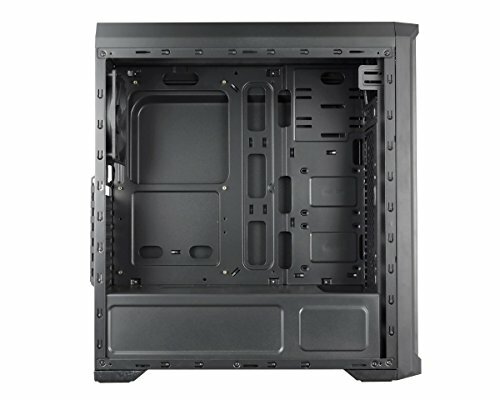 Beautiful tempered glass, a PSU shroud, dust filters, and plenty of room in a mid-tower case for under $40 was a no-brainer. Manual wasn't super clear, and screws were unsorted, but it works great and I love the look. Great case with a tempered glass side panel. 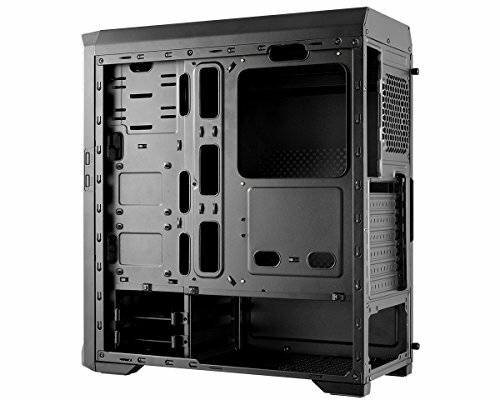 Plenty of air flow throughout the case. Only gripe is that cable management can be tight with the openings not as wide. So I recommend at least a semi modular PSU. The package delivered had plenty of padding inside the box. Overall for the price you get a pretty good quality case.